Smart+ earns bonus points for seamless setup, but loses marks for buggy controls and poor responsiveness. 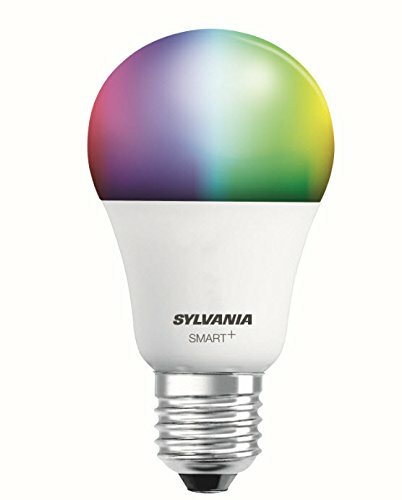 With its new Smart+ color bulb, Sylvania has jettisoned the Lightify brand (and has stepped away from the Ledvance corporate identity). But while the company has lost some of its branding, its gained something else: support for Apple’s HomeKit system without requiring an external hub. Functionally, this is nearly the same bulb as the old Ledvance Lightify RGBW. The only difference is that now, if you have an iOS device, you don’t need to buy a standalone hub that plugs into wall power if you want to connect it to HomeKit. This saves some money (the bulb is the same price as the old Lightify) while decluttering your outlets. Of course, HomeKit has its own advantages, too: You don’t have to deal with a standalone app if you want to control your smart lighting from your phone. Add an Apple TV and you can add schedules and control the bulb when you’re not at home. Siri even lets you use voice control if you want to tell the lights what to do. No complaints—at least with the Smart+ lighting quality. 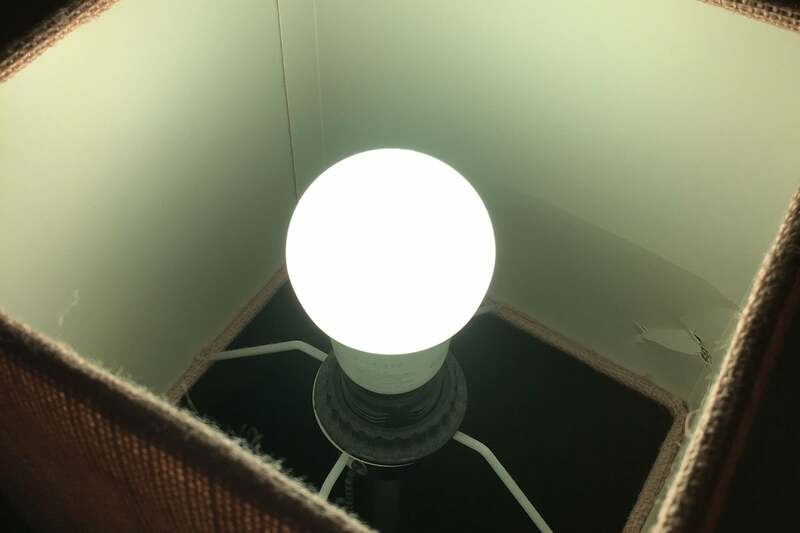 HomeKit aside, the bulb itself doesn’t feature many new tricks.The bulb still has a fairly straightforward, compact, incandescent-inspired design that fits fine in just about any fixture. With 800 lumens of brightness and a 25,000-hour lifespan rating, the technical specs are on par with most high-quality smart bulbs on the market. 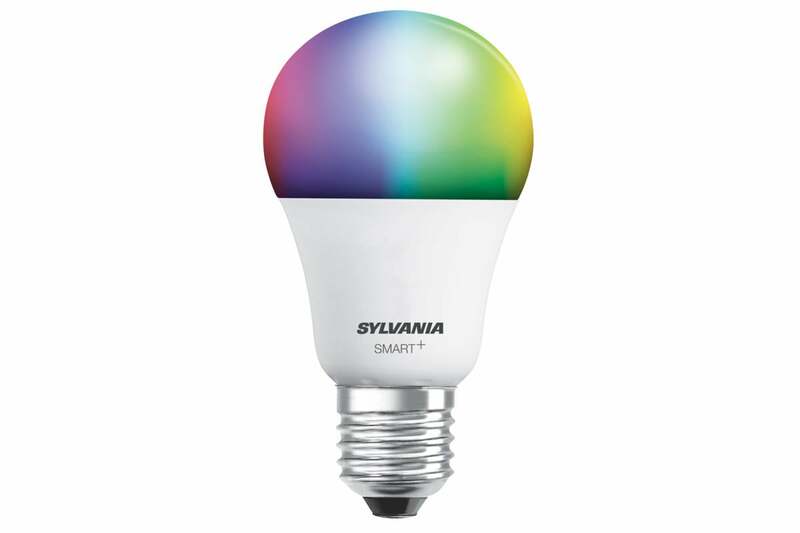 Of course, the bulb is fully color-tunable and offers separate white temperature adjustments, as well. Making these settings through the Home app isn’t quite as intuitive as it is on some competing standalone control apps—there’s a lot of extra tapping required—but if you only have basic lighting needs, this isn’t a big deal. If you want more power, you can use Sylvania’s separate lighting control app—Sylvania Smart Home—to control your lights, or at least you will eventually be able to once its released. 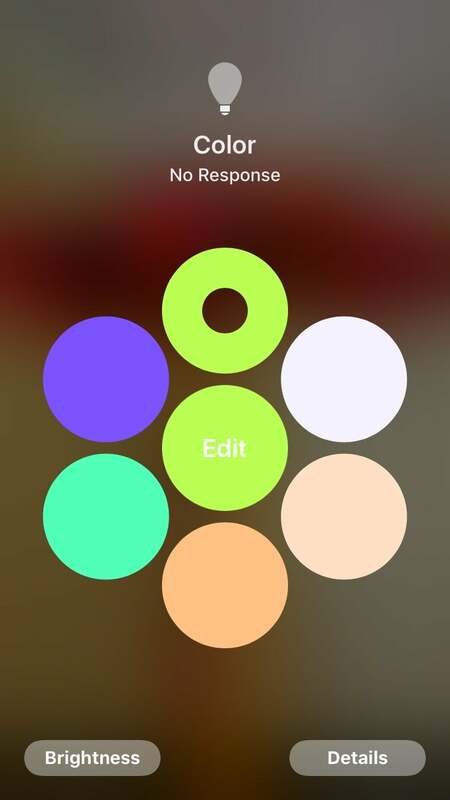 At press time, the app still hadn’t been completed, though the bulb hardware is readily available on the market. While connecting it to my iPhone and Apple TV was trivially easy, I did encounter some issues in actually using the bulb on a regular basis. The main one: The bulb would often fail to respond to commands issued through Home, spitting out a no response error perhaps 15 to 20 percent of the time I would try to do anything. There was no rhyme or reason to these errors; they seemed random, whether I was standing next to the lamp or testing from the other side of town. Fortunately, repeating the action I was attempting once or twice would usually get things going, but for even a casual smart bulb user, this could be frustrating to the point of deal-breaking. As well, the bulb’s scheduling tools never worked once to turn on the light at a pre-determined time, and the iOS scheduling interface isn’t the best on the market, either. Also worth noting:The bulb does not support external dimming, but this feature is front and center in the Home app, where dimming is smooth and responsive. Except, of course, when it doesn’t work at all. I smell a firmware update in the making…. This smart bulb looks great and works with HomeKit—no hub needed—but it failed to respond a good portion of the time to app commands, which causes serious concern. No external hub needed, hallelujah!